Oranssi -- XL - Not available Forest -- XXXL - Not available Forest -- XS - Dispatch time 1-3 workdays Forest -- S - Dispatch time 1-3 workdays Forest -- M - Dispatch time 1-3 workdays Forest -- L - Not available Forest -- XL - Dispatch time 1-3 workdays Forest -- XXL - Dispatch time 1-3 workdays Orange -- XS - Not available Orange -- S - Not available Orange -- M - Not available Orange -- L - Not available Red -- XS - Dispatch time 1-3 workdays Red -- S - Not available Red -- M - Dispatch time 1-3 workdays Red -- L - Not available Red -- XL - Dispatch time 1-3 workdays Dispatch time, what's this? A traditional cotton polyester anorak with fresh ideas, made with Sasta quality. Men's sizes. Sasta Katmai Anorak - A long-awaited product! This anorak combines traditional materials with fresh details. **76% organic cotton, 24% recycled polyester. The tightly knit material is waxed and treated with Nikwax Cotton Proof to be water repellent. Anoraks like this have been used on back country trips for decades, both on foot and on skis, pretty much around the year. 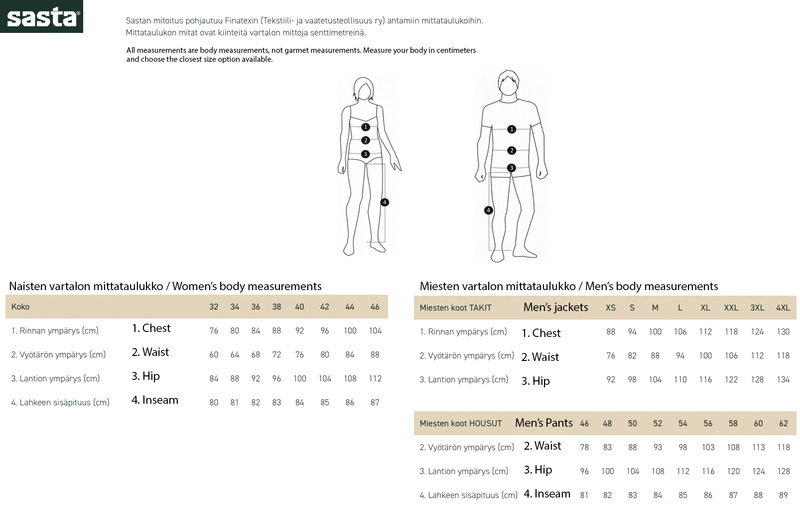 Unisex model: choose your size with the help of the men’s sizing chart. The sleeves are relatively long and this anorak has a pretty relaxed fit. When you add Sasta quality to the equation, you know this product is a winner. Sasta is known for unparalleled workmanship, and their products are made for real-world use. Your real world endeavors may be 100% urban or 100% back country oriented, but a Sasta product will serve you regardless. The side seam has a zipper reaching from hem to armpit - easy on, easy off! The best choice for city use! Women's windbreaker. 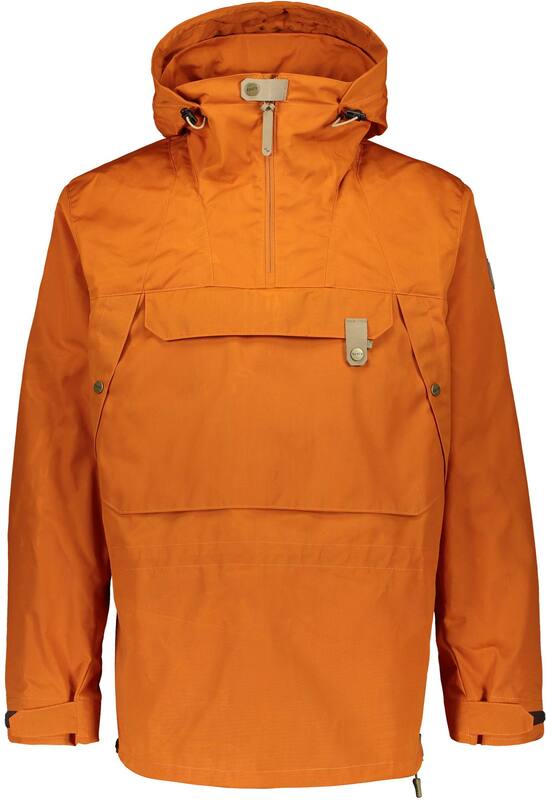 A great looking, functional trekking jacket made of polycotton. 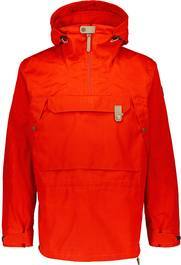 Men's light, packable windproof shell. Showy light windbreaker for men. Women's anorak from fall till spring - the traditional choice!